An international research team led by scientists at the University of Alberta have pinpointed a hidden culprit that leads to dilated cardiomyopathy – a dangerous condition that accounts for 20 per cent of all cases of heart failure – which opens the door to potential new treatments that could help counter the threat. The team identified a key molecule named PI3K alpha that binds and suppresses gelsolin – an enzyme that can destroy filaments that help make up the structure of heart cells. The researchers, led by Gavin Oudit, a professor of cardiology at the U of A and director of the Heart Function Clinic at the Mazankowski Alberta Heart Institute, believe the molecule holds great promise as a possible therapeutic target. It offers a possible path forward to personalized and precision medicine for patients with dilated cardiomyopathy. The condition decreases the heart’s ability to pump blood because its main pumping chamber, the left ventricle, is enlarged and weakened. 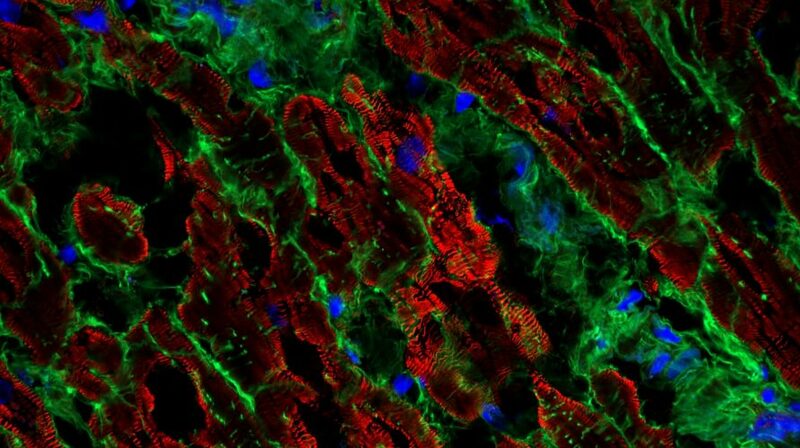 Researchers studied the condition at the molecular level in animal models and in explanted human hearts, and found that the pathway leading to dilated cardiomyopathy is common in all species. According to Oudit, who holds the Canada Research Chair in Heart Failure, the condition is caused by biomechanical stress, which activates the gelsolin enzyme. Oudit said the potential impact on patient care is huge. “By understanding these patients better, we’ll hopefully be able to develop specific therapies for them,” he said. According to Oudit, there are currently no precision treatments for patients with heart failure. The same medications are used for all patients. The research, published in Nature Communications, was supported by funding from the Canadian Institutes of Health Research, the Heart and Stroke Foundation, Alberta Innovates, and the Canada Research Chair in Heart Failure. Gavin Oudit was a featured speaker at the Ted Rogers Centre’s 3rd annual heart failure symposium in May 2018. Here is one of those talks, on amlodipine therapy for iron-overload cardiomyopathy.